Determined to expand its consumer safety offerings, 3M Co. has introduced a “smart” hearing-protection headset for hunters and shooters that automatically measures and cancels out specific gun noises while simultaneously amplifying voices and phone conversations. 3M’s device, the Peltor Sport Electronic Hearing Protector, was introduced last week with positive reaction at the National Shooting Sports Foundation’s SHOT Show in Las Vegas. The technology is designed to offer superior hearing protection to hunters, firing-range hobbyists and other civilian sports shooters. While 3M is well known for making ear plugs and other hearing protectors for factories, farms and the military, the new Peltor product is expected to greatly expand its reach into the civilian shooting market. It is also 3M’s first foray into the adjustable or “smart” hearing-technology arena, officials said. For the first time, 3M’s new devices can measure the energy coming from each specific gunshot in the area and automatically adjust to suppress each noise for the right amount of time. Such automatic adjustments protect the hearing, no matter if shooters who are nearby are firing small .22-caliber firearms or automatic rifles, said Lindsay Adams, 3M’s marketing manager for the Peltor Sport line. The new Peltor Sport headsets also filter out sound from fans, wind and other background noises while amplifying voices. Shooters don’t need to remove headsets to talk on a cellphone or to hear the people around them. Instead, the technology attempts to make ear protection seamless and constant even if the shooter’s environment changes from inside to outside. “Hunters need to be able to hear their surroundings,” Adams said. It took 3M more than a year and eight electronic and mechanical engineers and marketers to produce the new products. If successful, the Peltor Sport headsets will double and triple 3M’s current protection sales from the hunting and shooting consumer market. 3M has a solid footing in hearing protection in the construction market via channels such as Home Depot and Lowes. Now, 3M hopes for similar success as it launches the new smart Peltor Sport line in Gander Mountain and Bass Pro Shops and on Walmart.com and Amazon.com. 3M launched two versions of its new Peltor headset at the SHOT show. Attendees were able to borrow 3M’s headsets and test them during the preshow firing range event and gave rave reviews. Unlike previous models, the Peltor Tactical 500 model is Bluetooth capable and offers a noise-reduction rating of 26. The Tactical 300 model is compatible with other mobile devices and offers a noise-reduction rating of 24. Noise reduction ratings generally range from 0 to 34. The higher the number, the better the noise cancellation. The new products are expected to sell for roughly $149.99 and $199.99. “We really feel like these, along with the products we developed in the last two years, round out our portfolio and put us in a competitive position to gain market share,” Adams said. 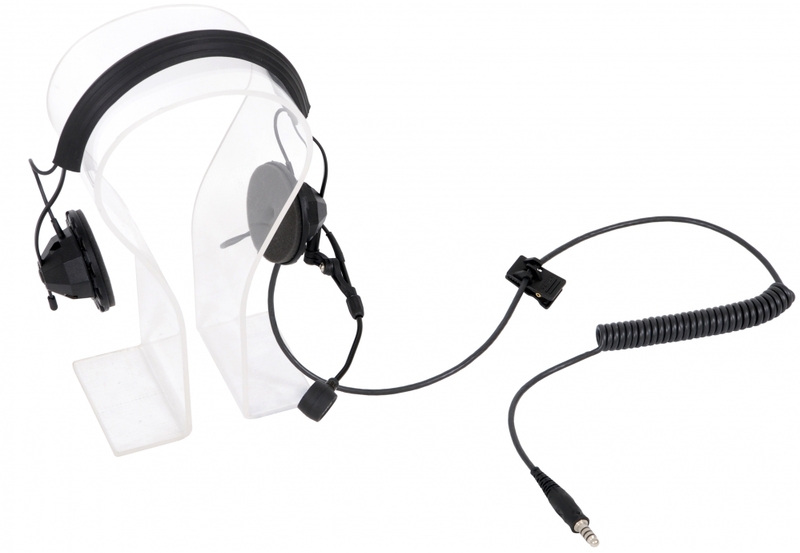 Both new electronic hearing protectors also feature foldable vented headbands that can release heat and increase comfort. They sport low-profile cups with rubber bumpers and durable recessed microphones to reduce wind noise. 3M officials declined to reveal the cost to bring the new product to market. The company does, however, expect the investment to pay off. Industry analysts agreed, noting that the Maplewood based maker of Scotch tape, respirators, ear plugs, goggles and harnesses has its sight set on a growing market. Global Industry Analysts Inc. predicts that U.S. hearing-protection sales will grow on average 6 percent a year and reach $714 million by 2020. Some of that growth will be fueled by regulations and changing hearing-protection needs in workplaces such as factories, oil fields and farms. If correct, that bodes well for 3M and Honeywell Inc., the two largest players in the nation, followed by SensGard, Westone, Moldex Metrics and David Clark Co. Inc.